Hi Deanisgood,Congrats! Your work is going to be displayed in Times Square! The show is this Thursday, July 24th from 8-9pm! We’ll be photographing the show, in case you can’t make it. We’re also working on sending everyone exactly what time their work will be shown, but we haven’t finished that yet. 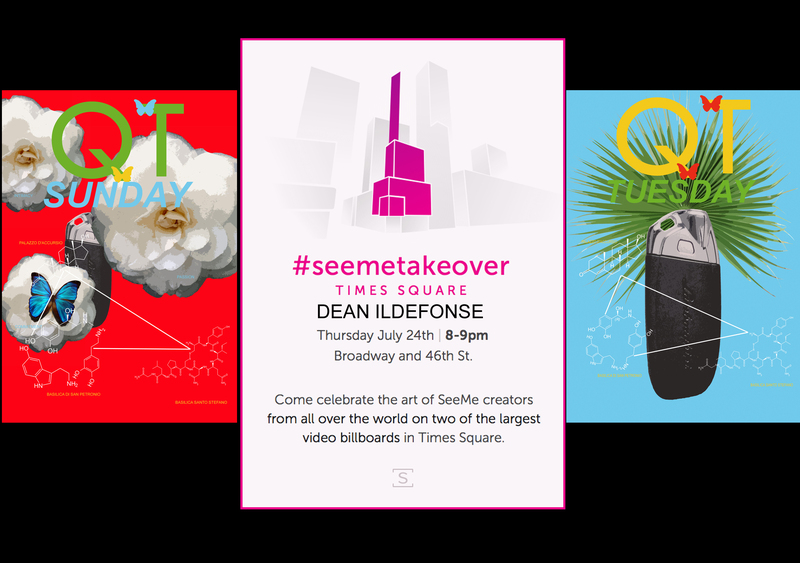 Thanks for making the #SeeMeTakeover possible, we can’t wait!